Spend a few hours, an afternoon, or even the weekend poking through some our favorite Antique CT shops in the Farmington River Valley. The Shops on this loop are in all within easy driving distance, and can be visited within a few hours... but do take your time and you will be sure to come home with a wonderful collection of treasures. We think you will find some great deals on something for your own home or for a personalized unique gift! The following is a link to the Google Map that details the featured Connecticut Antique shops and all the information you will need to take this tour loop. Be sure to check on store hours, or call ahead if you have any questions. Copyright 2006 All Rights Reserved. Fiddlehead Antiques. Questions please call 1-860-707-5765. 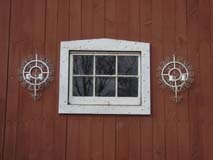 Fiddlehead Antiques is a secure site.